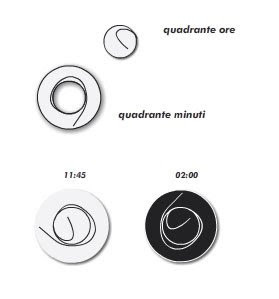 Save yourself from the arduous task of setting time forwards or backwards at daylight savings with the concept clock "Ora ilLegale" designed by Denis Guidone. It will eventually be produced by NAVA, and will be displayed at the upcoming Milan Design Week. 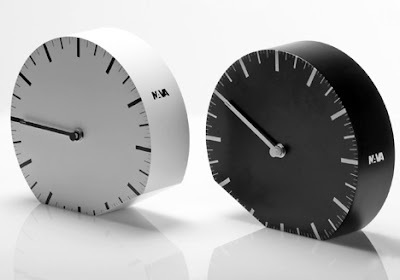 The designer, Denis Guidone, has had one other concept posted on Yanko, a clock too, how about that! "Baselworld 2009 has just finished and, amongst the flurry of new horological creations, the timepiece that really impressed and amazed me wasn't a wristwatch at all, but an incredible horological machine in its own right. Jaquet Droz's 'La Machine à Ecrire le Temps' - The Machine that Writes the Time. Manuel Emch, president and head of artistic creation at Montres Jaquet Droz, has done a superb job in reinventing the brand over the last 8 years. Jaquet Droz was one of the most celebrated creators of automatons in the past and in developing this modern time writing machine, they have created one of the most amazing "horological sculptures" to date, as well as added to the brand's rich heritage. The project was the brainchild of Manuel Emch who had, amongst other objectives, the idea to create an automaton that relates to the 21st century. The result is as impressive as it is poetic. 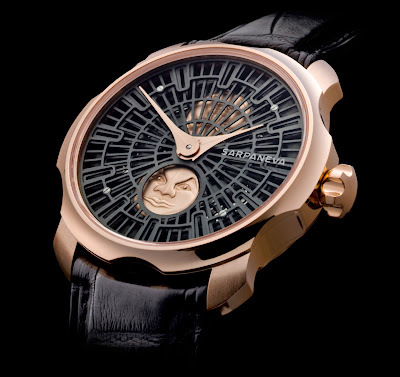 La Machine à Ecrire le Temps is an incredible blend of tradition, kinetic art, high-tech horology . . . and magic. The development and construction of La Machine à Ecrire le Temps took the best part of a decade. It contains more than 1,200 components, including 84 ball bearings, 50 cams and 9 belts, and took thousands of hours to construct and regulate. The masterpiece is housed in an unusual cage, whose aluminium frame is fitted with a liquid crystal glass, allowing the owner to mask or unveil the whole movement at will. A light touch activates the mechanism and a stylus writes the time in hours and minutes." 1966, Stanley Kubrick and Arthur C. Clarke commission a variety of companies to imagine & design futuristic products for the year 2001. Oh, yeah, and to be featured in the film, "2001 A Space Odyssey." Hamilton simultaneously future-retro-fitted their early sixties Flight II Electric designed by Richard Arbib (see photos below press release). Stanley Kubrick chose the Bergey design over the Arbib. 1968, the movie is released and Hamilton releases an entirely different but beautiful watch to the public, the "Odyssee 2001," spelled differently for apparent copyright issues. 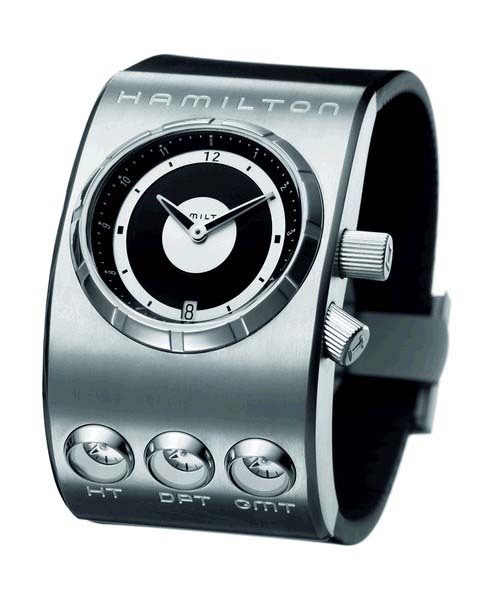 Now, in 2009, Hamilton is releasing the "ODC X-02", a triple time zone watch with each dial encapsulated in chambers and positioned in traditional "2001 Odyssey" side-viewing style. The latest creation of the Hamilton Lab, the ODC X-02, takes watch design to totally new frontiers. 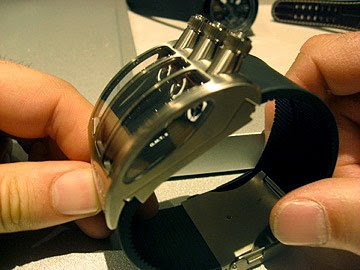 In a futuristic shaped case, appropriately modeled on the cross-section of an aircraft’s wing, this timepiece allows the wearer to be in three places at once. This is possible thanks to three separate, oblong dials, each revealing the time in a different location. The ODC X-02 Quartz already has its eye on Hollywood movie appearances with its design being inspired by the watch Hamilton originally made for Stanley Kubrick’s 1966 movie, “2001: A Space Odyssey”. A valve-like pusher at the top of each dial enables the setting of three independent times. Viewed from the side, these resemble miniature telescopes with easy-to-grip tips. 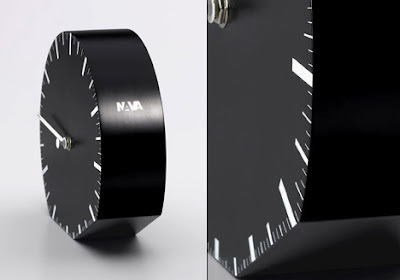 The analog time display in each of the three sections is close to the pusher, giving the impression that it is floating to the surface of the dial window. Each window has its own curved sapphire crystal, enclosing the top and side of the individual dial for self-contained timekeeping in the chosen zone. The ODC X-02 Quartz comes with a choice of a plain titanium case or one with black PVD coating. Its outline is angular, contrasting with the soft curves of the framework supporting the crystals. Perfectly matching the black dial backgrounds is a smooth black rubber strap finished with a metal buckle that fits together like two pieces of a puzzle. This unique timepiece promises to be a showstopper on and off the screen and is limited to just 1,000 pieces. captivated, printing pictures of them. This led to a flood of customer requests asking where they could purchase the space-age timepieces. Prohibitive production costs meant that the futuristic timepieces could never be commercialized. In the 21st century the saga continues with new limited edition timepieces. 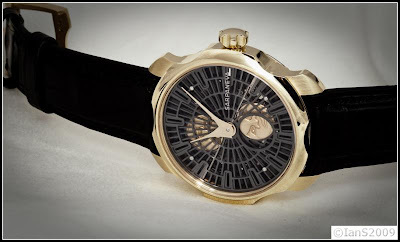 It was quite a while since the first Stepan Sarpaneva watch, the TIME TRAMP was created, using a pinion gear from a Harley Davidson motorcycle. At that time no one knew what the future would hold for watches created in Finland, certainly not for mechanical watches created with a different vision and such a distinctive Finnish design pedigree. Now, some 10 years later, Sarpaneva Watches has started to establish itself as the renegade alternative to the ‘Swiss-only’ mentality, offering collectors and watch lovers something new and different from the rest whilst keeping all the best qualities of watchmaking tradition. For Stepan this is definately something worth celebrating in an exclusive manner. For the past 10 years, the Sarpaneva workshop has been creating a name for itself producing unusual, limited series of watches – exclusively in different types of steel. There were a number of reasons behind this concept. Stepan Sarpaneva: “I have always liked, even preferred the ‘essence’ of steel cased watches, as it fits with my desire for simplicity and the beauty you can find in essential and basic materials and designs – whether inspired by man made or natural elements. With my hobby and passion for motorcycles from an early age, steel is also a material I know and love intimately. So I never felt that steel was less interesting or less valuable to me than any other metal. So what was behind this new development for the workshop? 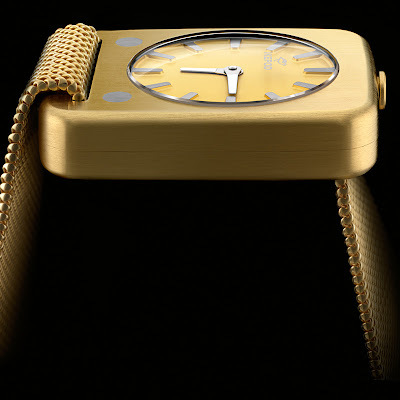 However, this didn’t mean that the new KORONA would simply be the same watchcase, merely in gold. Stepan took the decision to review the design; the case, with its slightly smaller 42 mm diameter compared to the previous KORONA K3 models of 44 mm, is just right for today’s tastes. The evocative scallops that are such a part of the exterior edges visual look are now cut right through the case from front bezel to back bezel, making the case even more distinctive. 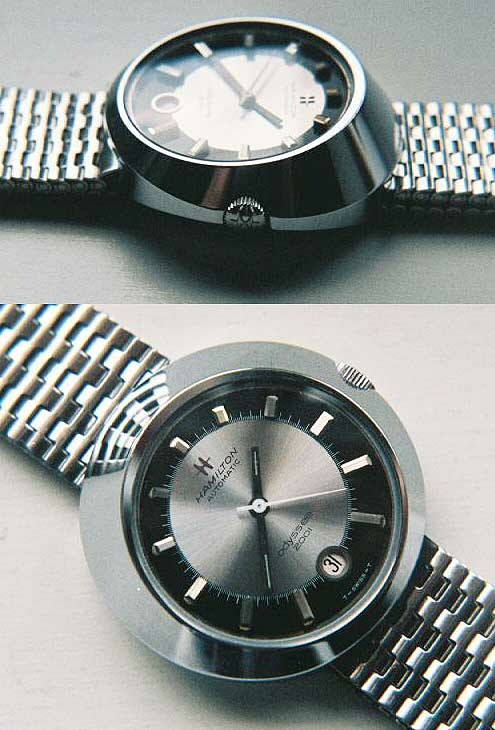 This, in combination with the skeleton dial has the effect of making the watch appear bolder and more uniquely Finnish in its design imagery, without it being perceived as either too large or too small. The Moonphase indicator of the KORONA RG and WG, with its eternally somber face has become a hallmark of the entire series of KORONA watches, and perhaps Finland itself. 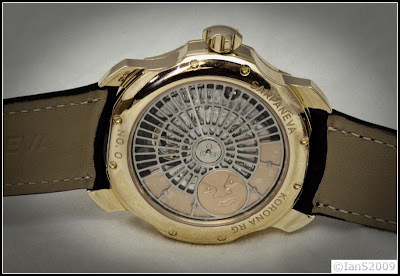 Creating these Moonphase discs is as complex as the realization of the watch’s Moonphase mechanism. The first dilemma concerns the dimensions, as the face is only 0,4 mm thick yet contains four levels of elevation. The first step requires creating a drawing six times actual size, followed by cutting a rough model from plate stock, one piece corresponding to each level of elevation of the oversized model. These parts are then fixed together to form the model plate for the pantograph, which will mill the various shapes into a small piece of copper the actual size of the Moonphase. This copper version, which will serve later as an electrode, is then cleaned up and ‘fine-tuned’ by a master engraver before the contours are electro etched into a steel-pressing block, thus creating a negative image of the face. Last but not least, the eyes are modeled by hand into the negative image and the whole is finished by a master engraver and diamond polished before undergoing hardening, followed by yet another polishing. The Moonphase of the watch requires two of these Moon faces to be created, but the winding rotor, responsible for helping automatically wind the watch with each movement of the wearer’s arm, also needed special treatment in order to be in harmony with the dial side view. 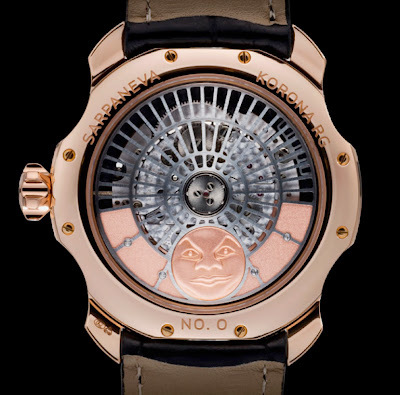 Stepan Sarpaneva: “Since the KORONA RG and WG are such special Moonphase watches, I felt that the rotor also had to be part of this special atmosphere. So I added another Moonphase on the rotor. It has the added effect of providing additional weight for the rotor, and it is always trapped in orbit around the watch’s center. Here again you sense my custom motorcycle building background – I see no reason why even the more functional parts can’t be attractive and nice to look at. So in total this is a Moon phase watch that has actually has three Moons on it, all in the same 18-carat gold as the case of the watch, either red or white”. The skeletonized dial and rotor in every KORONA RG and WG look so simple that one can easily forget the amount of work involved in producing them. Once the dial and rotor have been correctly sized in all dimensions, 260 individual holes need to be cut out of the dial, whose thickness measures a mere 0.3 mm. After this, each individual hole must be filed and finished, from both sides, therefore even the side that you will never see. The production of a completely assembled skeletonized dial and rotor, with all the additional parts and Moon faces installed takes a total of about a week of work to complete. The watch’s base caliber is a new independent movement from the well-known and highly regarded Swiss manufactory Soprod S.A., who also provide movements and watches to several haute horlogerie brands today. Different from other Moonphase calibers, the Sarpaneva design features correction via the crown, thus eliminating the need for any pushers on the case, greatly simplifying any correction if necessary. However, it should be noted that if the watch is regularly wound, the next correction for the Moonphase would only be in another 122 years! Although the workshop is small and independent, the philosophy is for long-term results. For this reason a well-tested caliber was chosen for which there are always spare parts available, or parts that can be manufactured right in the Helsinki atelier. For the new gold watches a special presentation box was designed and created by Stepan Sarpaneva, and is also manufactured in Finland. This wood and aluminum creation, embodying all the stylistic directness and raw energy of the timepieces, are also made by hand in small numbers that follow the limited production of the KORONA. An instruction booklet and guarantee certificate is included with each timepiece, covering a guarantee period of two years from the date of purchase. Sarpaneva Watches is Finland’s only mechanical watchmaking company, solely dedicated to the design and production of mechanical wristwatches. Located in the country’s capital Helsinki, the workshop was started in 2003 by Stepan Sarpaneva after years of training in both Finland and Switzerland that covered watchmaking in all its varieties, including hands on experience at several of Switzerland’s major houses with highly specialized work on complications. 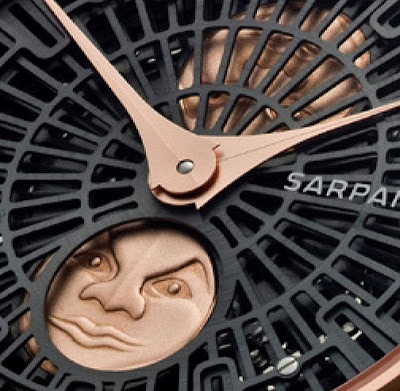 The Sarpaneva workshop’s philosophy towards watchmaking is firmly anchored within Stepan Sarpaneva’s deep desire to express himself in more ways then solely through the purely mechanical side of watchmaking. For this reason his firm’s foundation is to unite a long-term and timeless visual design concept together with that of high quality mechanical watchmaking. Unlike the majority of brands on the market today, this is a fundamental aspect that sets Sarpaneva Watches apart from the rest; here is one man with the ability to create novel wristwatch designs as well as unite them with the mechanical know-how of a master watchmaker. Showcasing a new dimension from his Ikepod brand, Australian designer Marc Newson introduces the Solaris. Having designed watches since 1986, the expert watchmaker takes a unique approach with his latest creation. Named after an Andrei Tarkovsky film, the Solaris features a duality factor rarely seen on timepieces. Following the concept of an symmetrical two-faced object, this new Ikepod watch combines sleek hand crafted design with two fully reversible faces and German metal-mesh bracelets. Another neat feature is the ability to display two different time zones recto-verso with each face comprised of separate independent movements. Louise Neri: When did you make your first watch? Marc Newson: At the age of twelve, in my grandfather’s garage in Sydney. I found a piece of blue Plexiglas, carved it into a funny, massive rectangular shape and bored a big, perfect, cylindrical hole through it with a power tool. Then I inserted a movement that my uncle had given me; or rather he had given me a watch that I promptly took to pieces! I screwed the thick Plexiglas face down with four big woodscrews. They were unique technical experiments, but I remained interested in watches, clipping pages from magazines, learning about all the Swiss brands, and so on. Louise Neri: What was it about them that interested you so much? Marc Newson: I was always fascinated by the idea of the watch as a little universe, a container, a time machine that held an enormously complex mechanism with many moving parts, each one perfectly made. It was practically impossible to see what was really going on inside, so they seemed like wonderful, mysterious objects to me. Louise Neri: Are all watches analog? Marc Newson: Yes, to some degree. My watches are very handmade and there are very few of them, which is partly why they are inherently valuable. There is no other way to make them, especially not with robots. Watches illustrate a skill set that has neither significantly evolved nor significantly atrophied over the last century, unlike most other artisanal practices. Louise Neri: When did that happen? Marc Newson: Pocket watches appeared in the 16th century, and then wristwatches were invented around the turn of the 20th century. Clocks were being miniaturized to the point where they could not get much smaller. 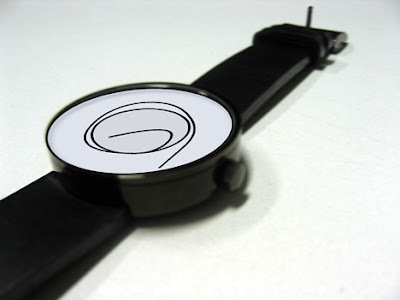 Although many other things are being reduced to nano-dimensions, watches reached their limits, having to remain robust, useable and able to be read. Louise Neri: What else is there for you beyond the practical concerns? Marc Newson: The idea that you can have time with you wherever you are—that you can literally “take your time”! For me it always seemed like a sort of alchemy, like traveling with a bit of fire in prehistoric times! Louise Neri: How, over the years, have you chosen which mechanisms to use, given all the available options? Marc Newson: I’d love to say that on a technical level I make rigorous or considered choices but in reality it’s about what is actually available. The industry has become so consolidated—most of the watch companies are now owned by a handful of big groups—it depends on what you can get your hands on. As Ikepod is one of the few remaining independent companies, it has to wait in line for movements—which is all the more reason for our company to distinguish itself via design. 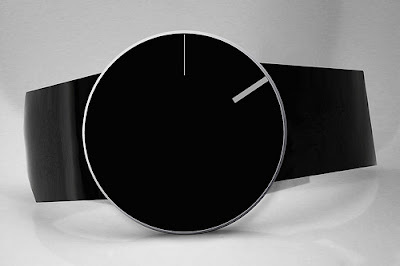 Louise Neri: So, would you agree that Ikepod watches are design-driven? Marc Newson: Absolutely. In fact, most watches are. It’s an interesting parallel with Apple: in the computer industry, the inherent technology is available widely but what differentiates Apple is the design. Of course Apple’s success is due to a lot more than its packaging but what you see and its related functionality is key. 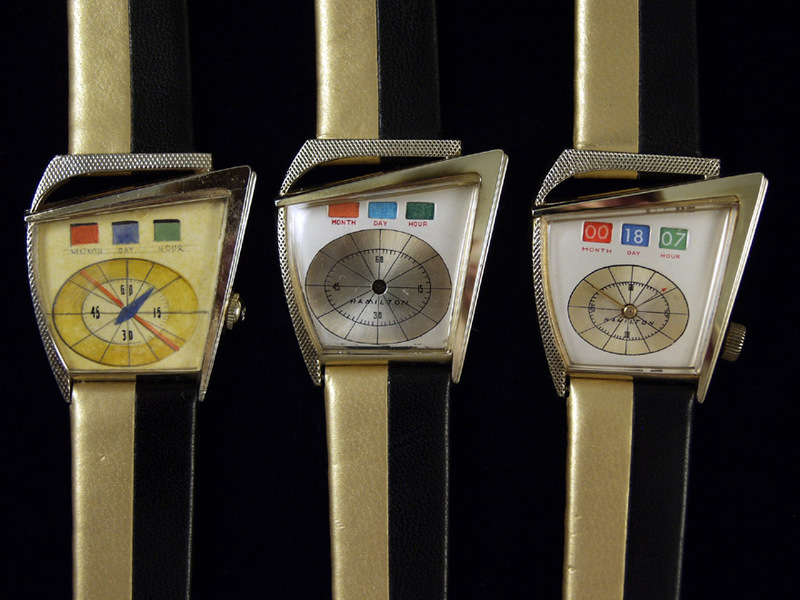 Louise Neri: A lot of your earlier watch designs were more self-consciously concerned with technical function. Marc Newson: The first Megapode, which is still in production, had an analog flight calculator. It’s my favorite because of its slightly ‘over-technical’ appearance. Louise Neri: This kind of technical complexity was really fashionable at the time, wasn’t it? Marc Newson: Yes, I designed the Megapode in the mid-nineties and the huge POD before it, in the mid-eighties. I think that they anticipated the trend of big watches. In general, I like all the extra things watches can be equipped to “do,” very few of which we actually use or need. A tiny watch movement can be tricked up to the point where it can do half a dozen extra things; it’s like hotting up a car! It’s no wonder that in the industry these extra features are called “complications.” I have been progressively simplifying my watches, but I could easily and happily make them complicated once more. With the Solaris, however, I wanted to design a very simple, elegant dress watch. Louise Neri: Why did you call it “Solaris”? Louise Neri: Can the wearer choose the time zones? Marc Newson: Yes, in fact, it’s not just a watch that displays two different time zones recto-verso; it actually comprises two separate movements that are utterly independent of each other. Louise Neri: How difficult would be to synchronize them perfectly? Or is that part of it, that they will never be completely synchronized? Marc Newson: Yes, somewhat. I love the idea that there is always that element of slippage. 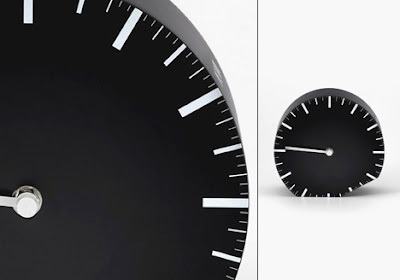 Louise Neri: It makes me think of Felix Gonzales-Torres’ work Untitled (Perfect Lovers), 1991: Two identical, battery-driven wall clocks were initially set to the same time, but they eventually move slightly out of sync. Thus Gonzales-Torres transformed neutral, readymade timepieces into a personal and poetic meditation on human relationships, mortality, and time’s inevitable flow. Marc Newson: In theory, the two movements in the Solaris will keep time because they are highly accurate quartz movements, rather than mechanical movements. But of course they will probably move slightly out of sync over time. Louise Neri: But given that the watch faces have no second hand, any discrepancy will probably go unnoticed. Can they be reset at will? Marc Newson: Absolutely, although this is probably at odds with the industry. But given that so many of our clients travel or live between two places, they might well appreciate the idea. Louise Neri: Is the Solaris a unisex watch? Marc Newson: Yes, I’ve never really designed for men or women but most of my watches tend to appeal to men because of their scale and weight. Perhaps this is the first of my watches that will appeal as much, if not more, to women. Louise Neri: The size of the face also relates more to a woman’s watch, although the case is larger. Marc Newson: However the gold and white gold watches have a masculine presence simply because gold is ultra-dense and heavy. Louise Neri: Is the same true of the ceramic version? Marc Newson: Not at all: ceramic is, in order of magnitude, much lighter than gold. Weight is an interesting quality to play with. The weight of a watch is a particular and esoteric thing. 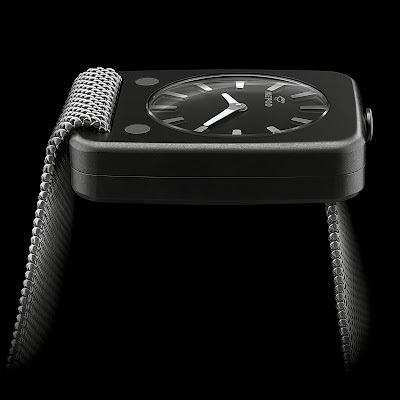 Louise Neri: The flexible mesh watchstrap is also a more “feminine” touch. 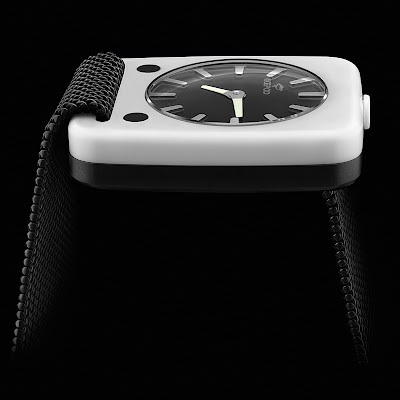 Marc Newson: I also love the fact that mesh is a bit old-fashioned. Mesh is very difficult to find these days and we had to develop this particular variation to make it strong enough yet flexible. Marc Newson: Sure, but in this case there are some technical limitations and real structural issues to deal with, such as the fact that the strap has to be strong enough to hold the watch in place on the wrist. Louise Neri: How is the mesh produced? Marc Newson: The production of metal mesh is another complex and specialized micro-industry. Much of it requires hand finishing. We work with a German company that makes mesh and chains for many different industries and a host of industrial applications, as well as for the textile industry. Companies such as this one use metals and industrial materials in such a forgiving and seductive way. So I was determined to work with them for the Solaris.